Drawing inspiration from Hollywood isn’t a new concept, from its unrealistic expectations to the forms of escapism its residents use as a vice. But when the inspiration is used in the form of organic instrumentation and modern electronic soundscapes, it’s the perfect backdrop for sharing a message of being honest in a dishonest world. 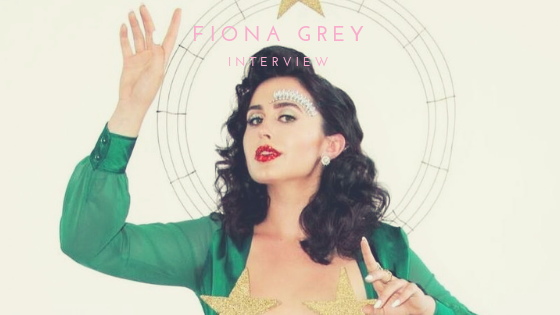 Los Angeles resident Fiona Grey never consciously began a career in music, but can remember making music as far back as when she was living in Chicago. Her mother and father were artists, and once she started creating her own art for fun as a child she actually never stopped. By experiencing the musical culture of both cities, she learned two very important skills that she uses while creating music today. Both of those skills went into her latest release, Cult Classic. The EP vocalizes her take on the current world and her desires for its ability to change and grow. It’s an EP that she hopes people relate to, and an EP that lots of money, time and love went into. Cult Classic was named before she ever made it into the studio, and she knew right away that a simple production process was not what this EP deserved. Grey was once given advice that she should trust the process and not compare her journey to that of other artists. With that in mind, she created something that both speaks her mind and the minds of many others. By putting her own musical spin on a Hollywood backdrop, her lyrical honesty is music that needs to be heard.